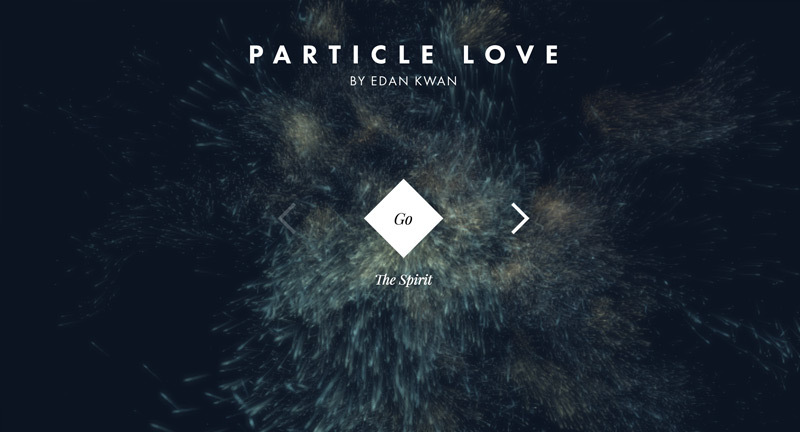 A collection of lovely Web GL driven particle experiments. 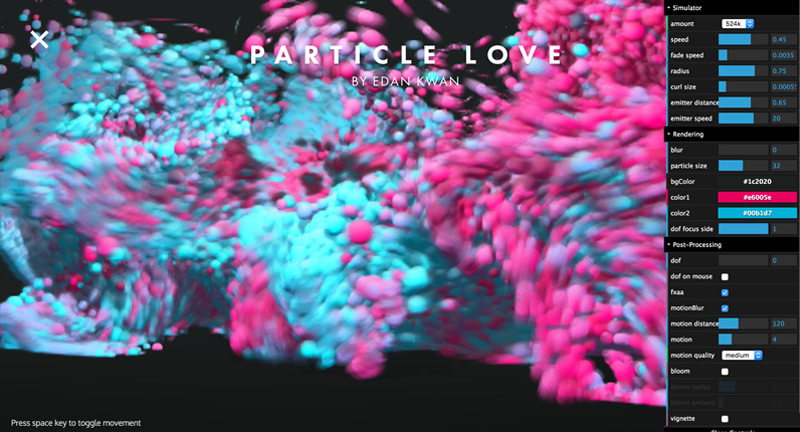 Lovely presentation of some beautiful particle visualisations, ranging in complexity. Fun to play with and love ability to play around with the output via the control panel. Very slick wrapper that showcases this creative developer’s skills. 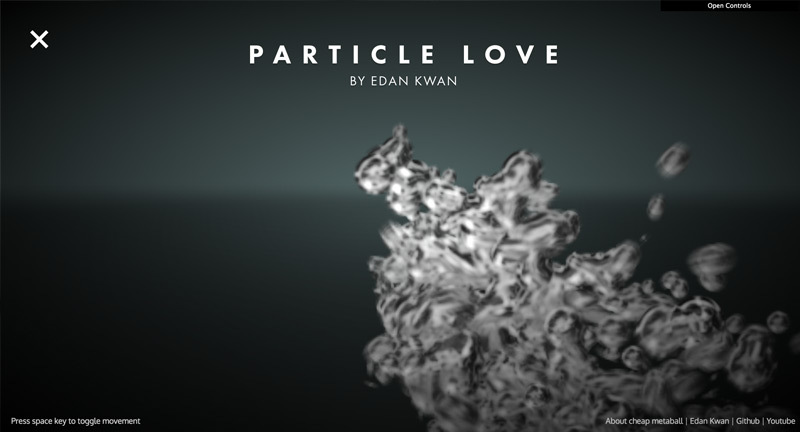 Created by Edan Kwan (@edankwan).